I've looked into the PSA's politics (or non-politics, which at certain moments amounts to a very definite politics), especially in the 1930s, 40s, and 50s. As usual with daily journalism, there's no long context, no sense of whether this sort of thing is a hiccup or part of a continuity. 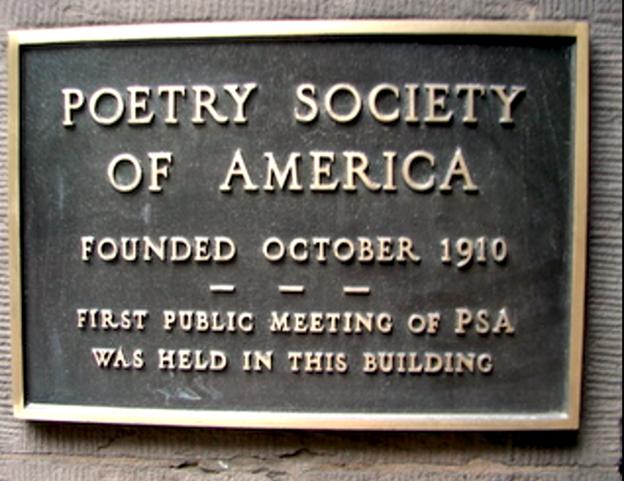 The continuity (what in journalism is unfortunately called "trend" — as in "a trend story," as in "let's make this a trend story") tells us that PSA has always been more or less like this, and that in turn would lead us to reject the opening-gambit assumption about poetry being usually "cloistered." Sullivan, the self-consciously Catholic poet and beloved president of the PSA, who in 1953 had to “admit” his view “that [Joseph McCarthy] was doing a good job and behaving himself,”** knowingly participated in a redefinition of contemporary writing that would successfully pass the anticommunist test. In staking out his anticommunist position, that is, he went around announcing that good, beautiful poetry is never political — never has anything to say about the political situation. The damage done by the Hollander flap (even the Times reckoned it was not nearly as big as the Ezra Pound/Bollingen fracas) is minor if you think of it as a blip. But why must such "events" always be thought of in such a way? The answer is, partly: journalistic ignorance about culture — and I should say, what they think of as high culture. ** Although Sullivan had once “wandered a trifle left of center,” voting for socialist Norman Thomas despite registration as a Democrat, by 1954 he “certainly applaud[ed] [Joseph] McCarthy’s clean-up of the U.S. Printing Office.” The quoted words and phrases are his (in an unpublished letter).